California Bar Exam: Three Days Away! The bar exam is now just three days away. It is normal to have some anxiety right now (okay, it is normal to have a lot of anxiety right now). But, there is still time to review, and still time to gain a better understanding of how areas are tested, and still time to continue to memorize the law. You need to believe this in order to make the best use of the remaining time. Actively work at remaining calm and maintaining a positive attitude – it will only lead to a better study period in the next couple of days. If you would like to be added to our July 2014 Bar Exam Tips Email List, please see my earlier post to sign up. If you have read my prior posts, you know that Evidence is one of the subjects that I have suggested as a possibility for this July’s exam. Also, Constitutional Law could repeat – remember, anything can show up on the bar exam. Of course, you may not see either Constitutional Law or Evidence on the July 2014 bar exam. But if you were to see either subject on the essay portion of the exam, would you know how to handle it? If you do not feel confident on how to handle a Constitutional Law essay or an Evidence essay today, just a few days before the test, is it too late? Should you give up? Of course not! Two essays for your review: I am posting two essays here (I have posted these same essays previously on this site, I mention this in case you have already downloaded these). One is a Constitutional Law essay (involving a state statute that treats out of staters differently than in-staters . . . so what area does that bring to mind? If you do not know the answer to that, then you definitely need to read this essay and the answers . . . hint: you are required to determine whether the state law places an undue burden on interstate commerce). So, if Constitutional Law is something you are fearing – then I would take a look over the subject again (preferably by relying on a condensed outline of some kind). In addition, I would recommend that you take a look at a few essays in Constitutional Law. I would do the same for Evidence. Both subjects can be race-horse exams. So, keep this in mind when you are writing your answers. Get to writing as quickly as you can. I have attached as downloads, a past Constitutional Law Essay and a past Evidence Essay that I think are worth reviewing (yes – even the Sunday before the exam – why not)? A couple of thoughts about Evidence: If you were to see Evidence on the exam (as you know) Hearsay is likely. It is hard to imagine an Evidence exam without hearsay showing up. Beware that the most commonly tested exceptions are Present Sense Impression and Excited Utterance (and both exceptions should be discussed if you think either is colorable). I would review Judicial Notice and Subsequent Remedial Measures as I think either could come up if you have Evidence (or even as a cross-over on another topic). Also, Best Evidence Rule is tested frequently on Evidence essays. If you have been reviewing past Evidence essays then you already know this. If, however, you have not reviewed many Evidence Essays, then it is not too late to review a few now, before the exam. With respect to the Evidence Essay – note the style of writing (what I call a “shot-gun” type of approach) that is used in the exam answers. Both are brief where needed and get through all of the calls in a pretty efficient manner. Also note that in a transcript exam you need to be prepared to write on form objections (examples of form objections include: leading, compound, assumes facts not in evidence, non-responsive, etc.). I will be hearing from my enrolled students on the break after the essays on Day One. But, the more people I hear from, the better I will have a fix on what was actually tested on Tuesday (essay wise) so that I can work up my next set of predictions for day three. 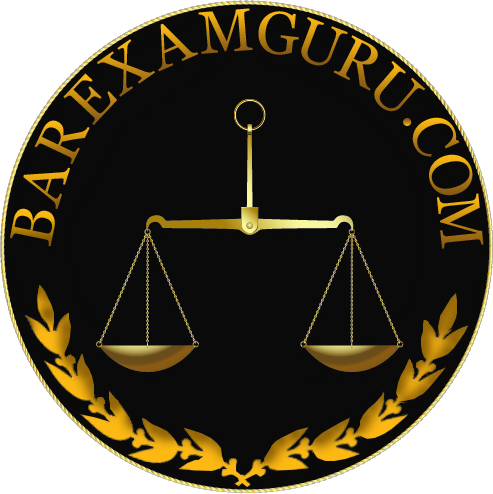 Just a note – because there are some examinees with accommodations who will be taking the bar exam over a six day period, I will limit my discussion to the essays only – I will not discuss the performance test until the week after the bar exam. I wish you all the very best of luck in your remaining studies! Remember to stay positive and to believe in yourself! 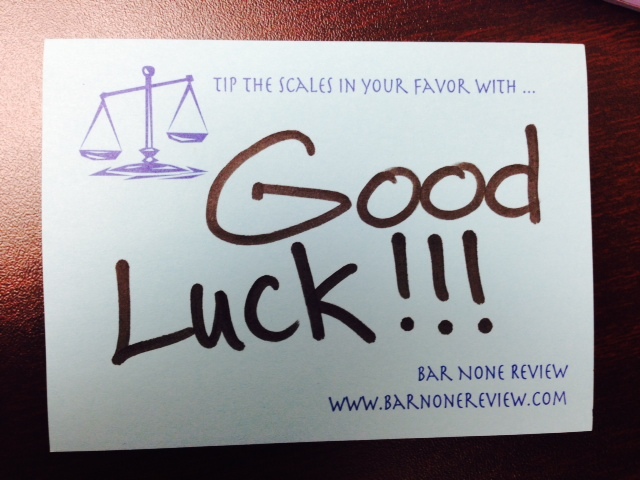 Next July 2014 Bar Exam Predictions: More Final Thoughts and Best of Luck to You!